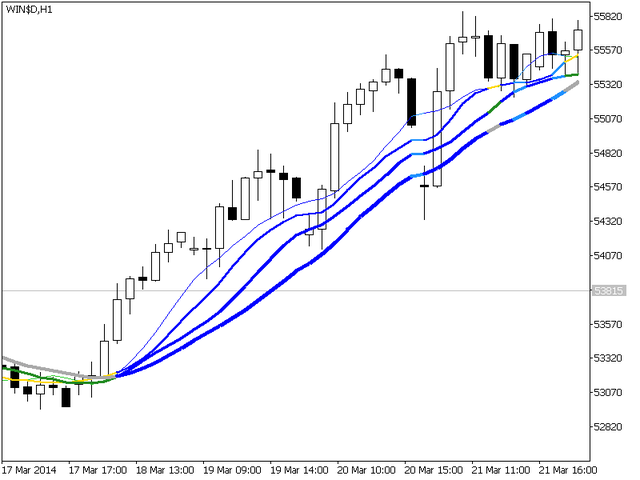 The indicator features a set of four Moving Averages. 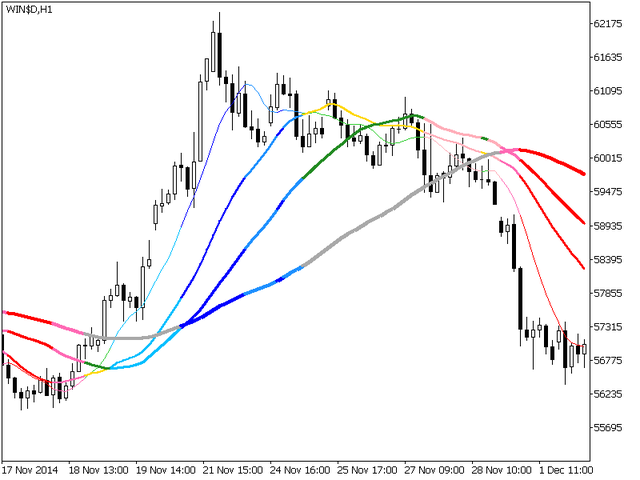 Moving Averages are among the most popular groups of indicators among traders. However, most traders implement more than one Moving Average to benefit from buy/sell order executions to the maximum possible extent. 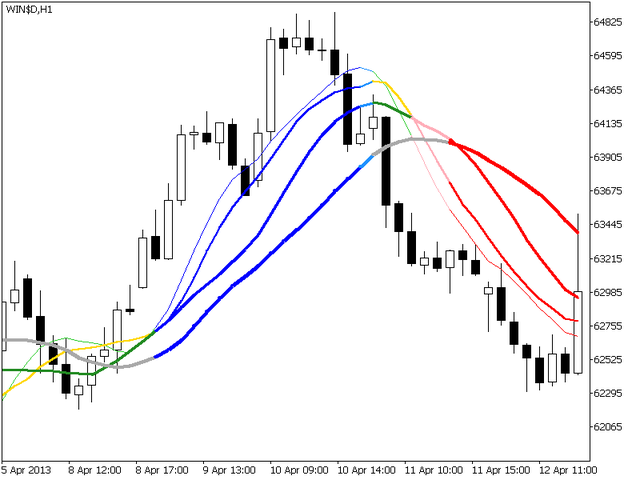 The indicator uses smoothing so that all Moving Averages have a color matching the trend simplifying the work when a trade is displayed on a chart (see the charts). 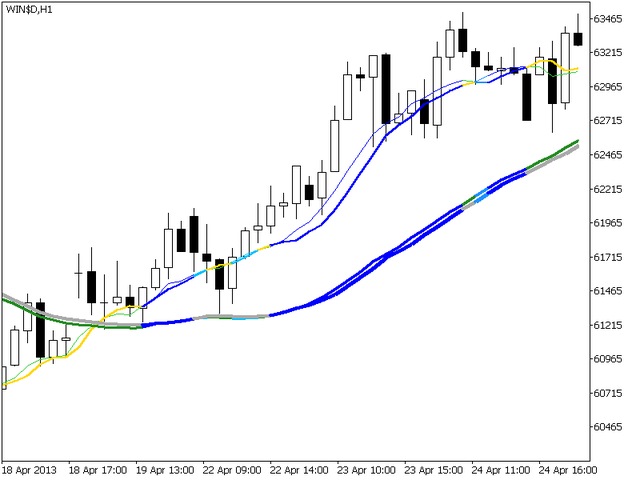 All "dark colored" blue and red ones mean full smoothing of Moving Averages. 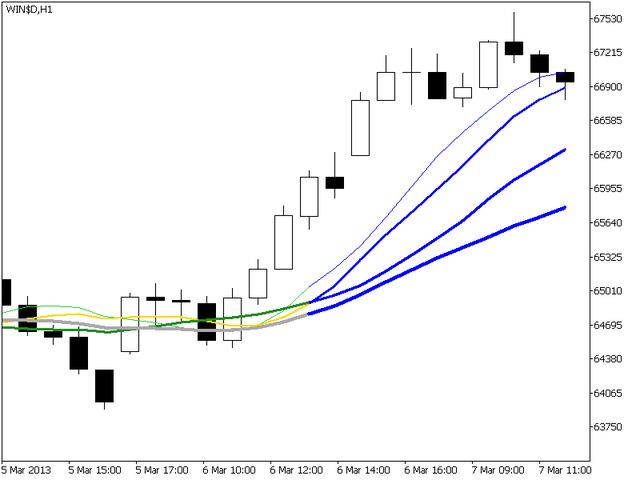 All "more or less colored" blue and red ones mean partial smoothing of Moving Averages (all stand in a line but have different directions). 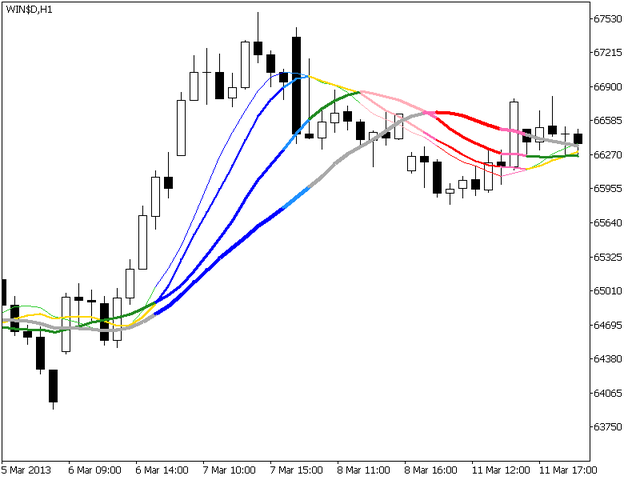 All "light colored" blue and red ones mean full smoothing of only three Moving Averages (except for a longer one). 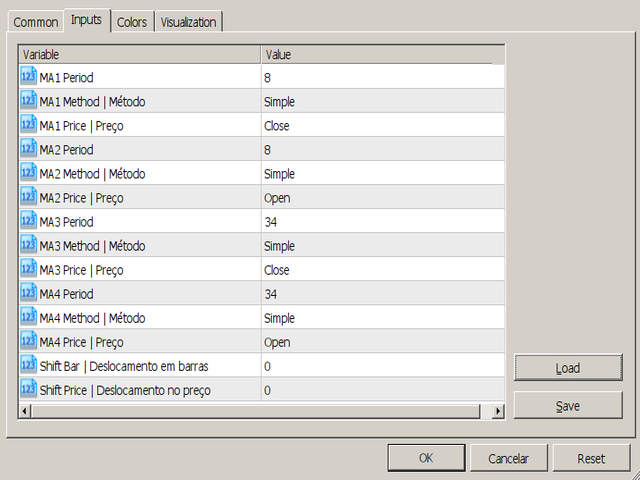 The indicator supports two settings – the one based on Fibo coefficient (set by default), while another one is necessary for switching openings and closings by two symbols.